We are a family-owned and operated business providing full service affordable tax services in Falmouth Massachusetts. The principals are: Stella Citrano, President and Clerk. Speciality: Personal Tax Returns, Administrative Matters, Privacy Issues. Lawrence Silverman, EA, Executive Vice President and Treasurer. Licensed to Practice before IRS. Graduate Fellow, National Tax Practioners Institute. Speciality: Corporate Tax Returns, IRS Representation. Enrolled Agent. Established in 1991, specializing in small business accounting and tax services, our clients consist of a range of one-person shops to larger companies grossing over $2 million in sales per year. Our affordable tax services are designed to help self employed individuals, single workers, and families. Stella Citrano, President and Clerk, a graduate of Bentley College is the company’s privacy expert. Due to recently enacted Privacy Laws, the IRS has instituted monitoring procedures for all tax return preparers who do electronic filing. These topics have recently been presented to local tax preparer groups by Ms. Citrano. Lawrence Silverman, EA, is Executive Vice President of Affordable Accounting and Tax Service. Mr. Silverman, who earned a BA degree in Economics from University of Massachusetts and a MBA from Anna Maria College, purchased Affordable Accounting and Tax Service in 1995. He has extensive experience in the preparation of corporate, partnership, fiduciary, and personal tax returns. As the Executive Vice President of a small business, Mr. Silverman understands the concerns of today’s entrepreneurs. 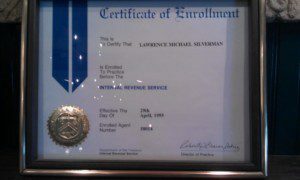 He is a graduate of the National Tax Practioners Institute and has earned their title of Fellow. He is a member of the Massachusetts Society of Enrolled Agents and the National Society of Enrolled Agents. 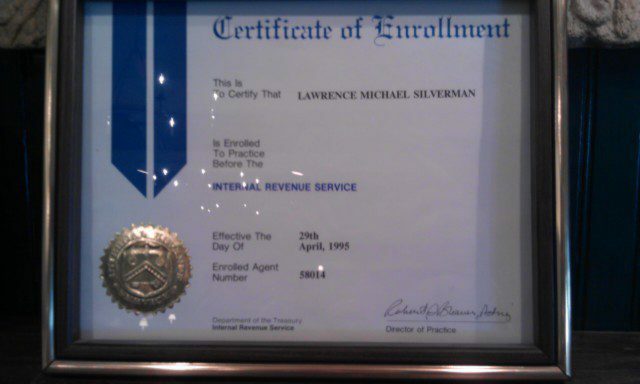 As an Enrolled Agent (EA), Mr. Silverman is licensed by the U.S. Department of the Treasury to represent any taxpayer (including individuals, businesses, corporations and estates) before the Internal Revenue Service. As a result, Mr. Silverman has demonstrated technical competence in the field of taxation to the IRS and is considered a tax specialist. So if you are looking for a highly qualified and capable affordable tax services or representation before the IRS, then look no further. Just read a few of our testimonials to see how effective we are.